You can work recovery and gain information at your own pace. The virtual workshops offered in the Learning Library are compilations of thirty-plus years of Dr. McBride’s clinical experience in public and private practice. These content-rich virtual workshops will save time and money that would normally be spent traveling to live workshops and unlike an in-person workshop, you'll have the opportunity to review the workshop over and over. We’re offering our first virtual workshop for adult daughters of narcissistic mothers. We created these virtual recovery workshops for the growing and expansive network of recovering adults who want to stop the legacy of distorted love. Dr. McBride is your guide as you walk the nurturing path of recovery with these easy to follow videos. 6 video presentations on the five-step recovery model for healing the daughters of narcissistic mothers. PDF homework downloads specially designed to reinforce each lesson. Bonus: A handout with twelve of Dr. McBride’s favorite big screen depictions of narcissistic mothers. This workshop is provided for therapists and mental health professionals who are interested in treating adult children of narcissistic parents. It is designed to follow the five-step recovery model designed by Dr. McBride and discussed in her recent book: Will I Ever Be Good Enough? Healing the Daughters of Narcissistic Mothers. 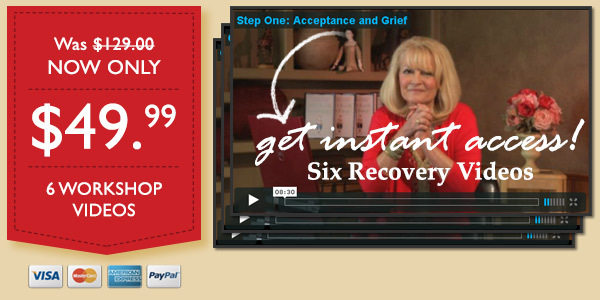 8 videos for therapists on each step of recovery and all the lecture homework PDF’s. Bonus Q&A segment involving Dr. McBride and one of her colleagues, Sue Seiler. An opportunity to earn 12 CEU's following the workshop.